Yey! Hoooray! These are the top 10 nurses in the June 2013 NLE. The very much awaited by millions of Filipinos, the June 2013 NLE Results. The top 10 passers in the Nursing Board Exam held last December June 2 - 3, 2013 in various Professional Regulation Commission testing centers nationwide, as released by the BON Philippines. The honorable members of the Philippine Professional Regulatory Board of Nursing are Carmencita M. Abaquin, Chairman; Leonila A. Faire, Betty F. Merritt, Perla G. Po, Marco Antonio C. Sto.Tomas, Yolanda C. Arugay and Amelia B. Rosales, Members. Visit our website daily to view the latest posts about the Nursing exam. You may also search June 2013 NLE results in Google and Bing to see millions of websites about the exam. Seek and you will find millions of pages about the June 2013 Nursing Licensure Examination. 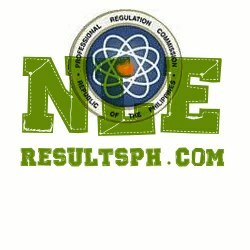 See the June 2013 NLE Results Complete List. Good luck to all NLE takers! Anonymous.....I would't be surprised. Judging by the way you construct your sentence in English.....Lagpak ka nga talaga....Sorry better luck next time.